Temptation Tours is an award winning tour company that specializes in guided tours throughout Maui to some of the most beautiful and remote locations. Adventure, excitement, and an experience of a lifetime await you at on the breathtaking island of Maui! Guests will enjoy first rate transportation in modern Limo Vans featuring large windows, spacious atmosphere, and soft European leather seating. Our small-group tours throughout Maui are intimate with just up to 8 guests per Limo-Van so that you may explore at your leisure. All Maui sightseeing adventures provide beachside lunches and are expertly narrated by Hawaii State Certified Guides that will detail the fascinating culture and history of the island. With each tour limited to no more than 8 guests per Limo-Van, you will share your adventure with a small group of discerning people, who, like you, want to explore the remote and uncommonly beautiful. Appreciate the value of your time to fit more excitement and variety into each vacation day. 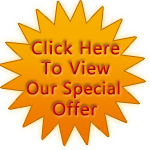 Let Temptation Tours be your tour guide for offering the best in comfort, convenience, service and security. Contact us today for more information! 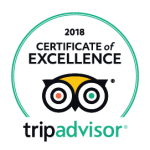 We are proud to announce that Temptation Tours is the recipient of TripAdvisor’s 2018 Certificate of Excellence. This is awarded to the top-performing 10% of all businesses worldwide on TripAdvisor, and to businesses that consistently earn high ratings from TripAdvisor travelers. To experience this excellence for yourself, click here to Save 15% off now! Click Here & Leave a Review!